laser, drawing and CNC functions. 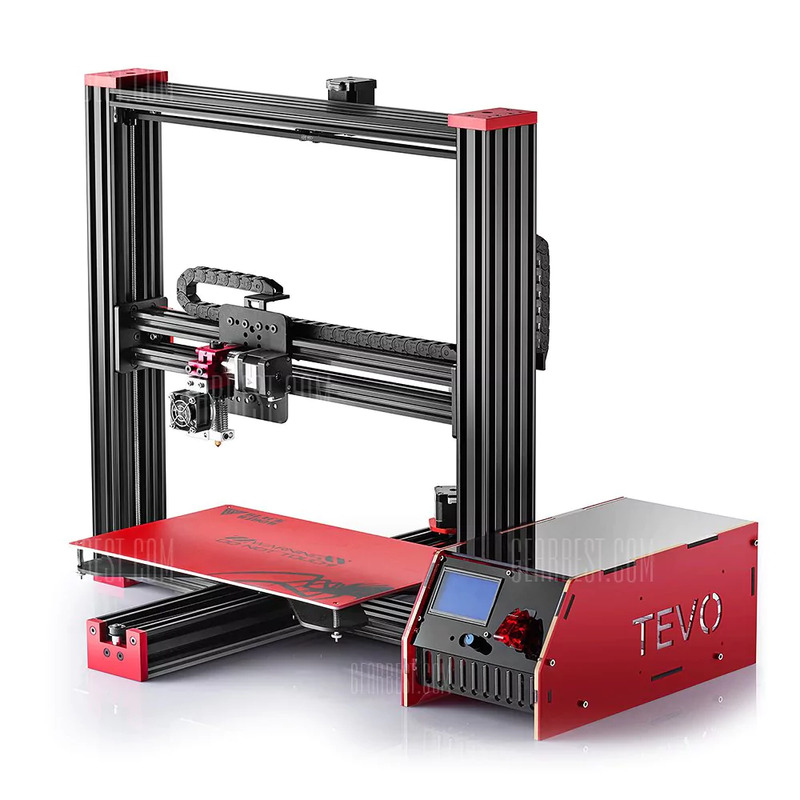 Can I purchase the complete printed parts kit from some one? I am limited with my two small printers. the first stepper does not turn in the same direction. Is someone already had this issu ? Can you upload a full assembled version? STEP or STL is fine. Preferably upright and arm pointing outward (>=110deg in pitch). Anyone have any thoughts on how to increase the amount of weight it can move/carry? Hard to find the exact parts. especially the stepper motors. also, what is this? " Chrome steel smooth bar-134mm "
How much would it cost to make this? I can not open the 3m1 piece, it does not open either in CURA 3 or in Simplyfi. Can you help me? Does anyone know how to run the additional 6th axis ? Currently I have a total of 7 Nema motors and only seem to find how to run 6 of them, doubling up on 1 line. ANy help or pointers would be great, I am stuck at the moment !! Download everything about moveo 6 axis. Kinematic, computer vision, gamepad, kinects v2, visualization, etc. They are there, did you have a look in the "Thing files" tab? They just don't have a preview pic, because their files are too large. thank you so much, ı'm new here. Could someone with more knowledge than me offer a comparison between this arm and the Thor arm? I am looking to make a couple but not sure which project has matured the most. Latest moveo firmware with jerk control. You know. The initial release of this software. Whenever Nema 23 when stop and run. The whole robotic arm will shake. This latest firmware solve that problem. All motors with go slower but you still can increase the speed at settings page. With such control and run slower. All motors torque will increase a lot. Axis 4,5,6 is using geared stepper motor. Is there a specific reason why you use T5 timing belts and pulleys instead of the more commonly used GT2 types? The T5 parts are way more expensive, maybe some money can be saved here? You can find either identical or fuly compatable pieces here: https://www.thingiverse.com/thing:2146252 Those are what I used, they fit fine. The idler bearing arm STL files seem to be missing from this project. This is an impressive work, thank you for sharing. How much (kg) material does it cost to print this (in PLA), cant find it anywhere... or do I need to put it in Fusion 360 before I can see that? Can anyone tell me the number of teeth (or the gear ratio) for each printed joint? Thanks for sharing your project! A couple of question for you: Is there a reason that the large axis one gear has different mounting screw locations depicted on the STL versus the CAD file? I am talking about the clocking of the belt grip key location in relation to the six mounting screws? See pic, and I am not sure what is up with the google files they seem to be corrupted when downloading. Also is there a way to download just one of the files or is it only an all or none scenario? Thanks for the help Buddy! For those still having trouble finding parts online, also. Articulation 2 and 3 should be using gear motor for more torque instead of stepper motor. I can't found the files T2M1D. T2M1I, T3M1, T4 that appears in the manual, where can i find them? If you are still looking for these the advanced remix version has them. the long one I not used so I cant count. where are you located ? I ordered from china ( extream long time delivery) and i still have some. im from sydney australia thanks. the belt sizes I wrote in an new post. Were can we download the designs for lasercut the base plate? hope someone can write it down for us. The Long one should be 103 teeth followed by 2x 68 teeth and the next one with 70 teeth but the smallest one i cant find any informations anywhere. Update: Forget that teeth numbers they are not working I just tried one of them and its far away from the reality so if someone else found that numbers ignore them dont destroy your belt. I nearly finished the smalest one than i found the upgrade with the 6 axis and i printed the part new, so i only have the experiance from a first moving before I deassembled again. 53 teeth for the smalles one was feeling not bad. Does anyone know what build volume is required to print this? Where is the instructions for this? Can this easily be scaled up twice the size? Where's the software that controls the manipulator? Can also control, simulate, and do path planning (and much more) on the Moveo using ROS. A bit more complex to set up but a lot more functionality. whats the largest piece? can i print using my Prusa i3 mk2? what infill are you printing at? We are very pleased with your project and we congratulate you first. We want to do this project, but we have not been able to decide which material and what fullness we need to print. Would you recommend printing with Esun pla +? What about the program? Where I can get the code? Hi guys! Is it possible to use Nema 17 instead of Nema 23 at the base? Thanks! Yes, you just need an adapter. Be aware that the NEMA17 equivalents will cost considerably more and be much heavier to get the same torque. Not really worth it. I think some part are missing. Can you help me ?? It has to be printed with an specific material? ABS or PLA? We printed with PLA ;)! Download the Bill of Materials on our Github: https://github.com/BCN3D and you will see the motors we used for the Moveo ;)! Curious what the minimum print area is for this without manually slicing the model to fit your printer. Great robotic arm! has anyone an idea how much this arm can lift? Or what the limits would be depending on motors and strength of the parts. This is an amazing project!! I'm printing this out now at 13% infill at .2mm layer hight for the base elements. Is there another infill ratio you all suggest? Looks like in the video one of the pars you all were printing didn't have any infill. Thanks! Thank you, BCN3D for this exciting project and wish all successful 2017. I'm posting my ongoing progress on https://plus.google.com/u/0/communities/113871521259522147964 and welcome all for sharing experience. I have included the part list from suppliers. Ebay, aliexpress, etc. thanks!!! i wasn´t know where i can buy!! thanks! What do you estimate the price to be in USD? I really want to build this and I am an engineering student so I think I can, just curious? Actually, the above link I have included the total price info along with all the wiring info. It will be USD344 if you buy all the screw and nuts locally because screw and nuts are expensive when you have to buy small amount in many types online. Try to find m3,m4,m5 screw locally. Hi, part 4M1 seems to be missing ? Great job, parts printing well and looking great ! El proyecto es increible. Enhorabuena. Imprimí piezas este verano. Pero he visto dos problemas. 1.-Los dientes de las piezas no son para una T5. Si miráis veréis que tienen 4.8 mm. y la correa no "engrana correctamente". El problema imagino viene al darle la curvatura a la pieza dentada. 2.- Las piezas son terriblemente pesadas. Se puede alcanzar elevadas resistencias sin necesidad de emplear "secciones macizas". El peso compromete el movimiento del robot. This is the first mention of the files on thingiverse http://www.thingiverse.com/thing:591230 by Andreas himself. when you power up the arm how do you know the nema motor current positions. I don't see any encoders, how do you get the feedback ? There are some printed part that have a mark, so you need to align it before power up the robot. You don't. MAJOR firmware upgrades are needed to make this a reliable source for a robotic arm. You really can't use a 3d printer controller and software to control this. This arm isn't a printer, nor a Cartesian X,Y device. They only used this to get it to move for a video. We know that the software and the firmware can be improved, but this is an opensource project so everybody can collaborate with it. Hi, there is an existing software to control a robotic arm, with inverse kinematic that generate g-code ? for now, we are controlling the bcn3d moveo with the software Pronterface, but this is not an inverse kinematic software. I've finished building the arm and so far there is no software to control the arm. You will have to make your own. So what is the fun if you copy everything? Hi Design1766, try with Pronterface, you will move the arm with this software. Has issues downloading to arduino. Causes an error after compile, and wont proceed to download. https://github.com/BCN3D/BCN3D-Moveo/tree/master/FIRMWARE/Marlin_BCN3D_Moveo ?? this does not work? Yes, this is the firmware that you have to upload on the Arduino. For moving the robot arm you can use the software Pronterface. This is the firmware that goes into the controller, that decode g-code and move steppers. But I'm surprised that there is no software to control robot arm. How industrial robots are programmed ? No,not yet for this product. The whole reason for my purpose of printing the arm it to have an open source arm that can work with the controller my engineering team and I are designing. What controller are you talking about ? Are you talking about a software that compute movements, or the controller that control steppers, with marlin firmware ? A controller that utilizes inverse Kinematics for cartesian coordinate placement. That's awesome ! Will the software be open source, free or at least available on internet ? can you post a video including the sound of the actual arm running rather than music, interested to see how loud the arm is. Also can you post the actual model numbers of the motors and belts used, or at least post the details stats for the motors so I can buy similar stats. What is the maximum weight the arm can lift at the gripper with full extension? This BOM will be updated in a few weeks. Thanks for the reply, I see you have built many arms already, I don't understand why you cant just share the exact part numbers of the motors used!! The problem with steppers is there are hundreds of different specs, different torque, different current, different voltage, different shaft. If you could just give the model numbers for the motors in each place then we can either by the exact ones that are known to work or at least look up the exact spec for the model and buy something similar!!? Just looking at length is only a very small part! Well steppers all work on a basic size footprint and. Then the length "usually" is proportional to torque. Longer the body, the more magnetic contact, more torque. I can post my Amazon links for the motors on "I Made it"
thank you for this amazing project. I went to github for its BOM, but i am not able to open that file on my desktop (on opening it displays message- corrupted). I tried to open through google docs , but that file contains something else. It doesn't contains the BOM. Please provide the right file as soon as possible. I am excited to work on this project. i've imported to docs with no problem. Thanks for the sharing, I already started to printing and ordered almost all the components, but could you please send me wiring diagram too? I am newbie in electronics. Did you ever end up getting the wiring diagram? I am interested in it too. It's very nice, but it's too big for my printer to print. I would expect that to be true for many here. I was considering whether it was possible to remix a scaled down version. Not sure if I have the skill or time, but I would be willing to collaborate if there was any interest. Would it be possible to split some of the bigger pieces in two, then epoxy them together afterwards? I tried splitting one of the bigger pieces up so it'd fit in my Form2 build area, but since just that bit would cost $100 to print, I think I'll pass on making one of these until I get a cheaper way to print big things. Great work .... Kudos to the team. Can this arm be used as a 3D Printer ??? Thanks, and once again Hats off for the excellent work and more than that for sharing it. You can adapt and modify it and probably use it as a 3D printer, but there is some CAD work to do ;)! Thanks for sharing. It is very very interesting. Great work, thanks a lot for sharing it! I would be interested also what are the approximated total costs of this arm is and how long it has taken to print the 3D-printed parts (well knowing that this depends on the printer you have). The cost depends a lot on where do you buy the steppers, drivers, etc. But it would be 400€ aprox. And it takes like 1 week, depends on the settings ;)! BCN3D MOVEO - A fully OpenSource 3D printed Robot Arm by BCN3D is licensed under the Creative Commons - Attribution license.